Hippocrates said “It is more important to know what sort of person has a disease than to know what sort of disease a person has.” Primary care physicians excel at knowing their patients. Continuity of care and long-standing treatment of families within the larger context of the community is our raison d’etre. Numerous studies have confirmed accessible, comprehensive, and integrated primary care is associated with better clinical outcomes and lower costs. Track how long our patients have been with us as yet another reimbursable measure. The significance of enduring patient relationships at small practices cannot be overemphasized; our practice has had more than 3 dozen families for 46 years, which is older than one of the physicians (me) at my two-physician practice. The Commonwealth Fund in 2014 found an inverse relationship between practice size and preventable hospital admission rates, precisely because we know our patients better. Practices with one or two physicians had preventable hospital admission rates that were 33% lower than practices with 10-19 physicians, and practices with 3-9 physicians had a reduction of 27% comparatively. CMS plans to bonus large practices with more than 100 physicians because they believe “bigger is better.” What on earth do you think their preventable hospital admission rates will be? Likely more than twice the rate when compared to small, but mighty solo or two-physician practices. A third worthwhile metric would be evaluating whether primary care physicians are able to provide comprehensive care to meet the majority of medical needs. A study by the Robert Graham Center evaluated 3,652 physicians and 555,165 Medicare patients and found that patients of physicians who provided a wider range of services experienced fewer hospitalizations and incurred lower health care costs. Costs were reduced by 10-15% and patients were 35% less likely to be admitted to the hospital when physicians could provide comprehensive care. Dr. Kevin Grumback, who wrote a commentary accompanying the study, said “This probably trumps any other innovation in terms of reducing Medicare costs.” Increasing health care costs have far outpaced economic growth for many reasons; relying on specialists to meet a wider scope of health needs has undoubtedly contributed to increasing expenditures. As a pediatrician, Obamacare plans refused to reimburse me for cauterizing an umbilical granuloma because the procedure was considered too specialized. Any mammal with opposable thumbs can treat an umbilical granuloma. What is the purpose of this narrow-minded short-sightedness? Studies have demonstrated preventive services are delivered more efficiently and cost-effectively by primary care physicians. Primary care physicians order fewer tests than specialists and help protect their patients from inappropriate and unnecessary care resulting in significant reductions in health care expenditures. Even when costs are calculated for treating common conditions, such as pneumonia, specialty care is more expensive compared to primary care and patient outcomes are no different. Metrics should reward us for utilizing the full breadth of our skillset. Finally, primary care physicians should coordinate care when specialty referral is required. This is one of the largest drivers of redundant evaluations and testing. Records without critical interoperability, specialists are starting fresh with each new patient and often repeat testing unknowingly due to inept communication. Physician to physician conversation is paramount; primary care physicians need sufficient reimbursement for the work and time involved. This would allow for a more focused, efficient evaluation by the specialist and reduce spending. If primary care physicians were paid what they are essentially worth, there would be more of us to go around and health expenditures would decrease substantially. 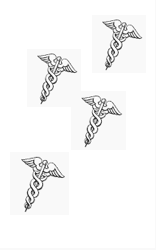 The physician workforce in the United States is currently 80% specialty, 20% primary care. Over a 40-year medical career, the income gap is 3.5 million, on average, between a primary care physician and a specialist. Increasing by one primary care physician per 10,000 people, decreases mortality by 5.3% thereby avoiding 127,617 deaths per year in the U.S. Payment methods must better reflect the value of services provided by primary care physicians especially in small practice settings. Reimbursement for conversation and less for testing and procedures results in the right kind of care. Building better metrics is about incentivizing delivery of superior quality health care. Small practices are the first point of access for many underserved populations. Increasing the number of primary care physicians compared to specialists would control escalating costs, but our income must reflect our work. The physician-patient relationship is a tremendous therapeutic force. Business entities must recognize that power of relationships built over decades in small practice settings and harness it. We are clearly worth our weight in gold; isn’t it time for those in power to recognize our value? Niran al-Agba, MD is a physician in Washington State. Very concise and powerful post. Thank you. CMS continues to believe it will dream up a better idea of what already exists right under their noses. Find success and reward it. Seems simple. Rural independent primary care has had, and always will have the answers. Time to stop destroying it. Dr. Holm- thank you for your comments. I completely agree. We rural docs provide solid, comprehensive care to our patients. Until reading about #unicornjess and her untimely death with conditions we treat frequently, I didn’t realize how much our patients benefit from our old school approach. It’s too bad CMS believes they have all the answers. They could learn a lot from one day in our bustling clinics. Niran, I don’t know about CMS, but our legislators know all about the old school approach. When they are on the campaign trail they talk about it with fondness, but the old school approach diminshes the value of the large corporations such as insurers, hospitals and pharmaceutical companies. Legislators don’t make deals with those having the old school approach because there is little donation money available and there is always an election around the corner. You are right. Money talks. CMS and their narrow focus on large corporations and hospitals will result in increased mortality rates. Maybe when infant mortality falls low enough to be on par with the most underdeveloped nations in Africa, people will finally stand up and do something about all this. The Sir William Osler version of the quote, attributed above to Hippocrates, seems better to me. Both are a reminder of our profession’s illustrious forerunners: deep connections to caring relationships. To be precise, a CARING RELATIONSHIP can be defined as a variably asymmetric interaction between two persons, over time, who share a BENEFICENT intent to enhance each other’s AUTONOMY by communicating with warmth, non-critical acceptance, honesty and empathy. Empathy represents the ultimate attribute of all human capabilities. Thank you for your comment. I like that quote… you might see it again in another article I am writing about the importance of CARING RELATIONSHIPS in medical care. Thank you for reading. “corpmed”. It’s a damn shame. It is a damn shame. My only problem with these two guys in the article you linked is they set us up for this mess and now as venture capitalists, they are going to profit from its failure. I do hope their mission is more genuine this time. Thank you for reading.